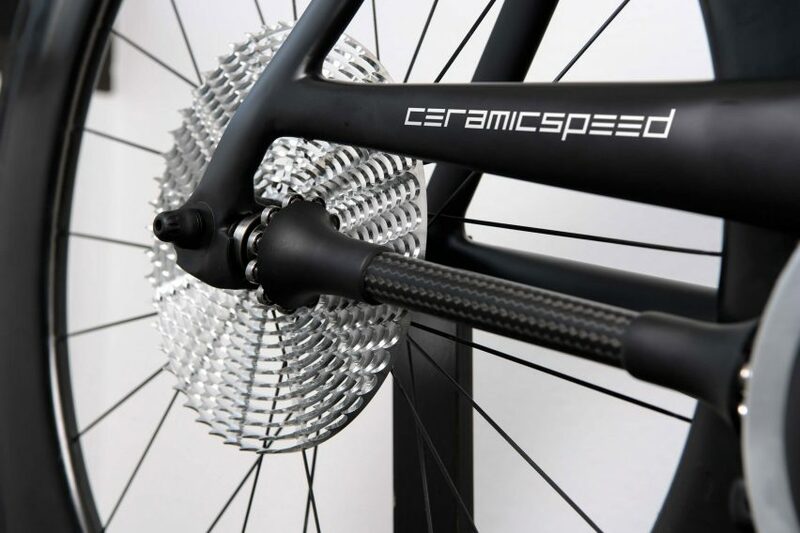 Danish company CeramicSpeed has developed what could be the world’s most efficient bicycle drivetrain and has built a prototype to prove it. 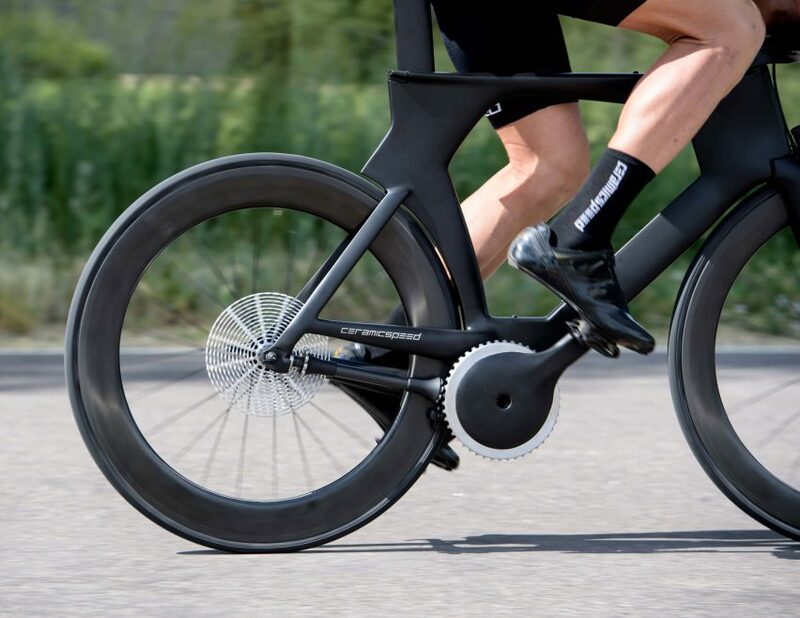 The bike part manufacturer is one of the winners of this year’s Eurobike Award with Driven, a drivetrain concept it developed together with the mechanical engineering department at the University of Colorado. The Driven drivetrain has no chain or derailleurs, making it more than 99 per cent efficient. This means almost none of the power generated by a rider’s legs is lost. The prior drivetrain to beat was a Shimano Dura-Ace at 97.8 per cent efficiency — or 98.37 per cent when upgraded with CeramicSpeed parts. The Shimano Dura-Ace, like the drivetrains on most bikes, is driven by a chain. While there are many advantages to chains, they can also become stretched and worn, particularly when the cyclist switches to extreme gears. In contrast, CeramicSpeed’s system is connected by a carbon-fibre shaft, which turns 90 degrees from the rear wheel and pedals. On either end of the shaft are 21 low-friction ceramic bearings, which transfer torque from the rider’s pedalling through the drive shaft and onto the rear cog. “Advancements in drivetrain technology have been evolutionary since the 1920s. Driven is truly revolutionary given its unique rolling element power transfer and unmatched efficiency,” he continued. Shaft-driven bicycles have been around since the 19th century, but the concept is being revisited in light of new technologies. Driven is at the prototype phase. CeramicSpeed exhibited the invention at the Eurobike fair in Germany from 8 to 10 July. The company has submitted a patent application while it conducts more testing. It has currently only tested Driven at 100 watts, with the efficiency figures extrapolated out to higher rider output, where it should reach 99 per cent efficiency. While this small improvement in efficiency is of most significance to racers, CeramicSpeed says it foresees a wide range of applications, including track, triathlon, electric bikes and commuter models. As well as being ultra-efficient, Driven is lighter than a conventional drivetrain. The prototype contains 13 speeds but CeramicSpeed says more gears could be easily added.